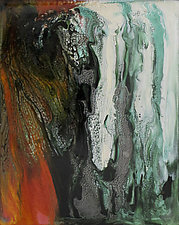 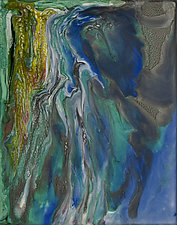 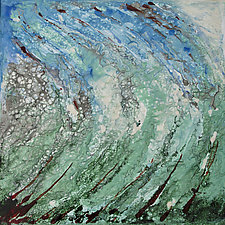 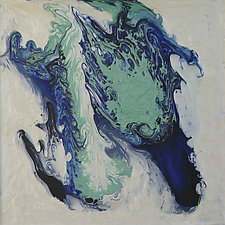 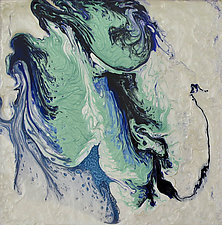 "As a visual artist, I am constantly intrigued by painting the abstract qualities of water. 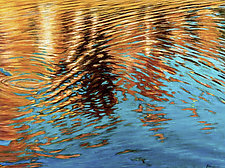 The reflected and refracted imagery, hinting at the surrounding environment, is broken by the movement of water, creating fascinating shapes, patterns, and colors that swirl into and out of each other. 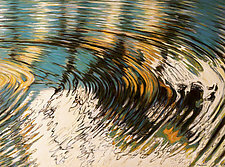 I capture a moment of time as the water is stopped in its movement. " 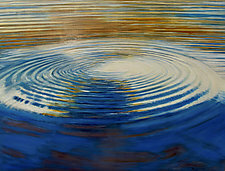 Jan Fordyce's water paintings tell a story—a metaphor for human experiences, whether it's the relationship between ripples in water and ripple effects in our lives, or the idea of what lies beneath the surface in water and in ourselves. 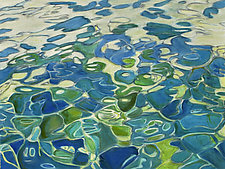 Her paintings also express a sense of tranquility, while giving importance to water as a resource, which is so vital to our existence, yet so often taken for granted. 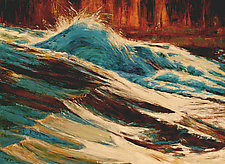 Inspiration and reference for Fordyce's paintings come from her travels to lakes, rivers, and other places—Africa, the turquoise waters of the Caribbean, the High Sierra mountains, the iconic Colorado River near her home. 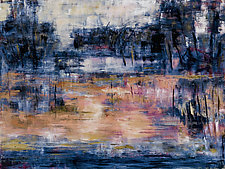 Each location presents a unique sense of place and environment, which she captures in the rich color of oil paint on canvas. 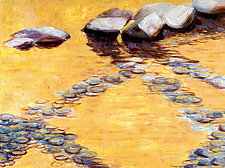 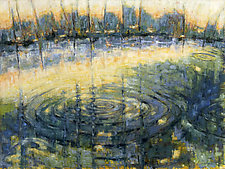 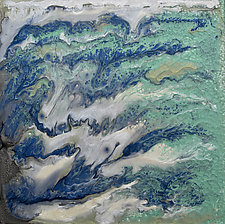 Viewed up close, her paintings appear to be abstract compositions of shape and pattern, but viewed from a distance, the imagery of water and movement becomes apparent. 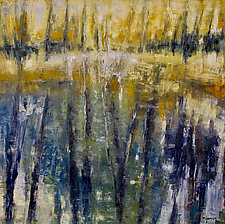 Jan Fordyce started pursuing drawing and painting at an early age. 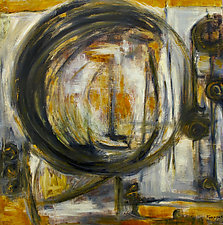 She attended California College of the Arts in the Bay Area for two years and went on to receive a BFA in painting and drawing from the University of California at Davis. 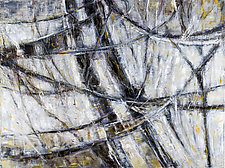 She then pursued an MFA in fiber arts and photography. 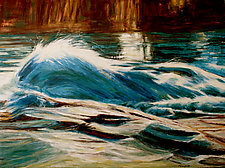 She has studied with notable artists such as Quang Ho, Dale Chisman, and Doug Dawson.